The production of food is an important component of the larger community-based food system. It is central to the overall health and resilience of municipalities, counties and regions, and can significantly contribute to the development of social connections, capacity building, and community empowerment in urban, suburban, and rural communities. In addition, food production can provide opportunities for workforce development, economic development, and income generation. Urban food can improve access to healthy, affordable food and can promote food security. 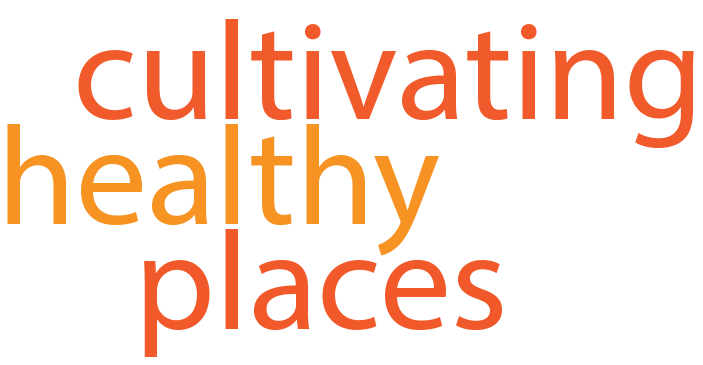 Cultivating Healthy Places offers a variety of services related to food production, from the development of food production plans, community engagement processes and land inventories, to the assessment of local government policies and analysis of policies, programs and projects. Listed below are several food production related projects completed by Cultivating Healthy Places’ founder and owner, Kimberley Hodgson, while she was Senior Research Associate and Manager of the Planning and Community Health Research Center at the American Planning Association. 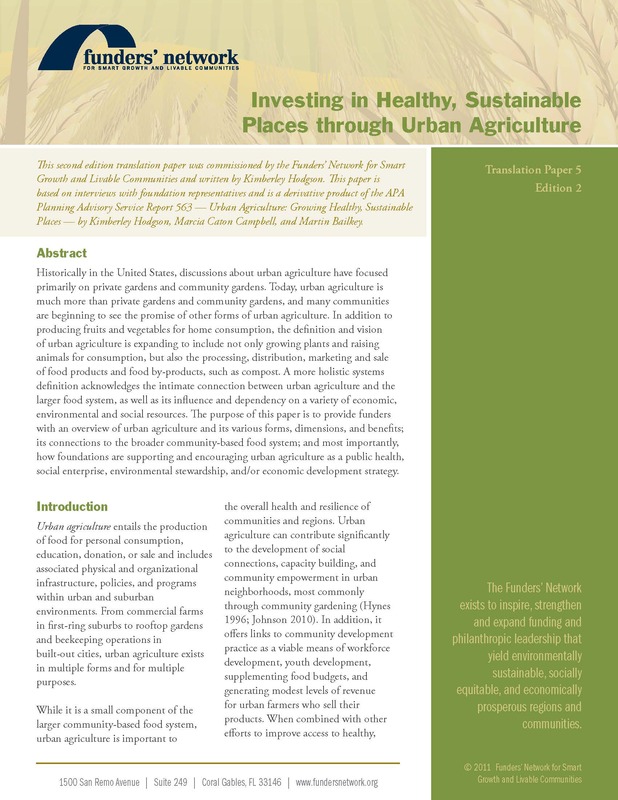 Urban Agriculture: Growing Healthy, Sustainable Places PAS Report. Co-authored an American Planning Association report that examines the role of planning practice in developing and sustainable urban agriculture to support economic, social, and environmental goals. Investing in Urban Agriculture. Authored a report for the Funders’ Network for Smart Growth and Livable Communities, which explores how foundations are supporting and encouraging urban agriculture as a public health, social enterprise, environmental stewardship, and/or economic development strategy. National Partnership for Urban Agriculture. Collaborated with American Farmland Trust and MetroAg: Alliance for Urban Agriculture to create a working group of representatives from national non-profit organizations , federal government agencies (such as Housing and Urban Development, Environmental Protection Agency, Department of Agriculture, and Centers for Disease Control and Prevention), and the philanthropic community (The Funders Network for Smart Growth & Livable Communities and the Sustainable Agriculture & Food Systems Funders Network) to share resources related to urban agriculture and coordinate efforts to support urban agriculture.